A dark blue corduroy suit. 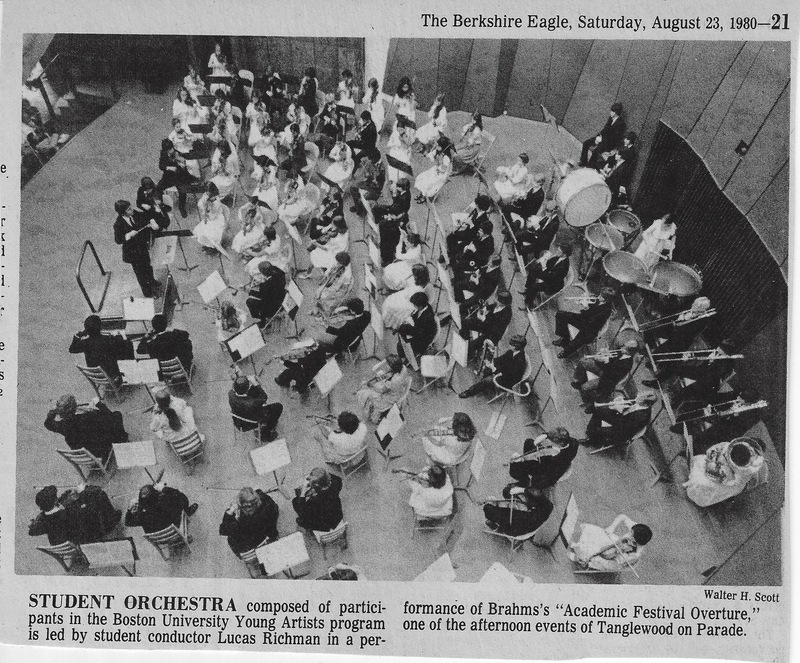 It was late August, 1980 and, at the age of sixteen, I was making my debut at Tanglewood on Parade with the Boston University Tanglewood Institute, conducting Brahms’ Academic Festival Overture in a dark blue corduroy suit. Mind you, I didn’t care that the suit was blue or that the fabric was corduroy because, frankly, most musicians rarely focus proper attention on the garments they wear. My father had brought me to a men’s clothing warehouse somewhere in upstate New York just prior to my summer’s activities in the Berkshires and, having never shopped for proper conducting attire before, we simply agreed upon that which we felt was the most appropriate post-disco era concert attire: a dark blue corduroy suit. So what if it was 90 degrees under the eaves of the open-air concert venue? It was new and it was blue! In the autumn of 1981, before the advent of my sophomore year at UCLA, I auditioned as a violinist for a position in the Young Musicians Foundation Debut Orchestra. Up to that point, I had played in several different youth orchestras, most notably with the CSUN Youth Orchestra led by Dr. Thomas Osborn (husband to my violin teacher, Joyce Osborn). However, the YMF Debut Orchestra had always been considered to be the top tier ensemble for pre-professional musicians in Los Angeles since it’s founding by pianist Sylvia Kunin in 1955. Originally created as a training orchestra for young conductors (whose alumni roster includes Andre Previn, Michael Tilson Thomas, Myung-whun Chung, and Calvin Simmons), “Debut” has also yielded generations of the finest instrumentalists, many of whom today populate hundreds of orchestras across the world. 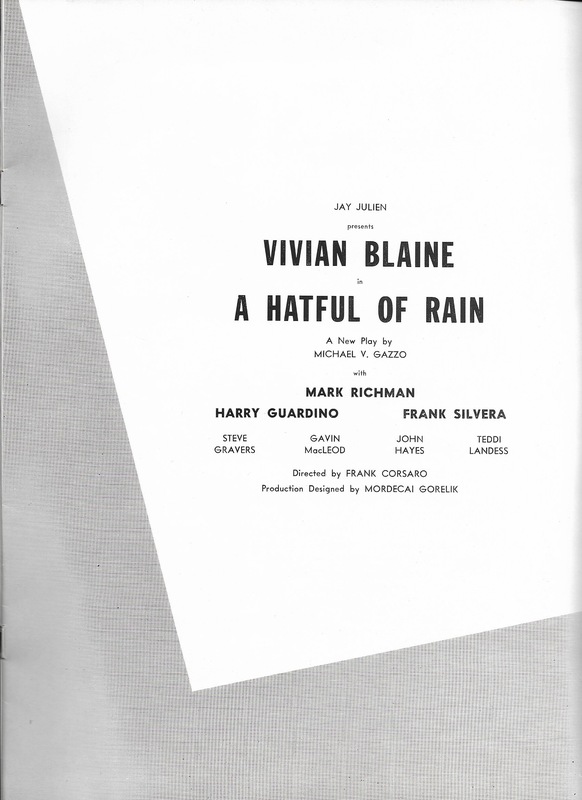 Quite honestly, I was never more than competent in my skills as a violinist, as I had started late on the instrument and I was always willing to cast other musical activities as my first priority—despite the fact that I was enrolled in the UCLA Music Department as a violin major, studying with LA Philharmonic concertmaster, Alexander Treger, who had assumed the teaching mantle from Joyce Osborn and regularly bemoaned my lack of vibrato while assigning me new violin works which I endeavored to avoid practicing daily. Remarkably, however, I was accepted into the ranks of the YMF Debut Orchestra violin section by conductor Neal Stulberg and, thus, began for me an association with an extraordinary organization that I have deeply valued and appreciated for over 35 years. I continued to play violin in “Debut” and, by my third year in the orchestra, I had managed to ascend to the position of Principal 2nd Violin (I did not know at the time but my path as a violinist was never destined to yield any higher official ranking beyond that stellar achievement). The YMF conductor grants had always been limited to three year terms so, as Maestro Stulberg was rounding up his final season, efforts were underway for the organization to find its next conductor. Now, whether one might consider it to be a good thing or a curse, I generally remember something about every audition I’ve ever taken. Each audition has yielded a tidbit of joy, embarrassment or chagrin that is indelibly imprinted in my mind’s eye with astounding aural and visual clarity (something to which I’m sure many of my colleagues can relate). I mention this because the only audition for which I have absolutely no memory is the one I took in order to become the conductor for “Debut.” Perhaps there were no memorable gaffes in the course of the audition process; I can only assume that things went well, however, for on November 11, 1984, I made my debut as the YMF Debut Orchestra’s new conductor, leading a performance of Edouard Lalo’s Overture to Le Roi d’Ys in Pasadena’s glorious Ambassador Auditorium. And, yes, I was wearing the dark blue corduroy suit. My parents have always been tremendous supporters and cheerleaders of their five children’s achievements and accomplishments, much to the chiding annoyance of their vast holiday card mailing list of friends and acquaintances. However, there is no question that my mother could have easily run her own successful marketing firm had she had the slightest inclination to do so: before social media, fax machines or even the internet, my mother was the Maven of Mailers. Of course, as they traveled in circles of the Hollywood entertainment talent pool due to my father’s prolific work as an actor in film and television, many of my parent’s contacts were imbued with “eau de celebrity”—and some of them even showed up on occasion to these Richman events. In this case, with Peter Mark and Helen’s son, Lucas, lifting the baton at the Ambassador, it was touted as a particularly “can’t miss” event. Growing up with a father that appeared regularly as an actor on network television shows (one of his most indelible characters was as Suzanne Somers’ father, the Reverend Snow, on Three’s Company), my siblings and I were accustomed to having notable actors, directors, writers and producers attend dinner at our house. But, when it came to watching our 2-hour-maximum allotment of nightly TV, we were as star-struck and slack-jawed as the next kid (side-note: no, we were not allowed to save up television-watching hours for what might have been weekly 14-hour marathons; my parents monitored our TV watching with the credo, “Use’em or lose’em.”). While I was in the beginning stages of my musical journey as a conductor, the TV show, Love Boat, was in its heyday and was a mandatory staple of our weekly viewing. The show made such an impression that its star, Gavin MacLeod, aka Captain Stubing, seemed equally as famous and powerful to us as his fellow actor (then POTUS), Ronald Reagan. 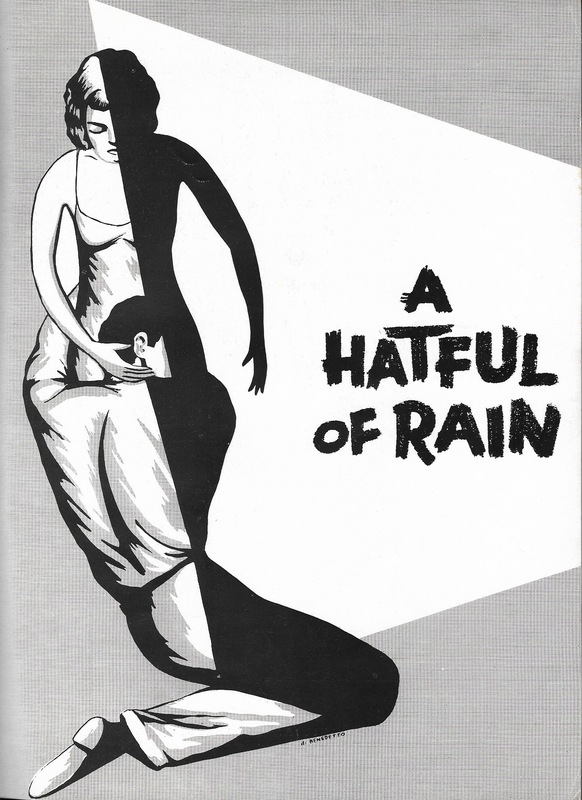 There was a closer connection though, because, as it turns out, my mother had actually dated Gavin during their undergraduate days at Ithaca College—and then both of my folks appeared with him in the 1956 National Tour of the play, Hatful of Rain (my mother’s stage name was Teddi Landess in those days). 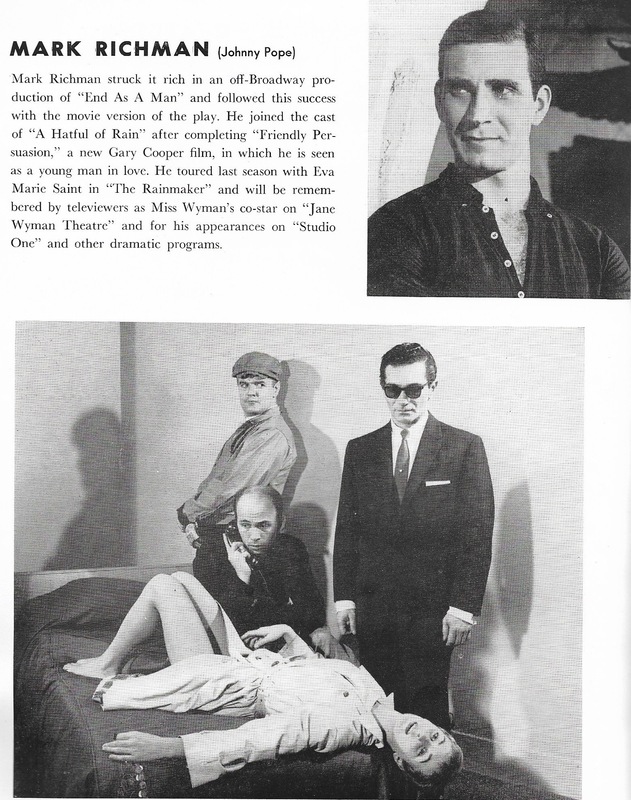 Gavin was also a featured guest star in the pilot episode for the 1961 television series, Cain’s Hundred, which my father headlined as the beleaguered mob attorney Nicholas Cain. Years later, coincidentally, while I valiantly struggled in the CSUN Youth Orchestra second violin section, I had gotten to know Gavin’s son, Keith, because he was playing viola just on the opposite side of the stage. So…Gavin, as it turns out, was one of the recipients of my Mom the Mailer Maven’s mailers and he decided to attend my first appearance in front of the YMF Debut Orchestra. Now, I’m pretty sure that it had simply not occurred to my parents to invest in providing me with a performing set of white tie and tails as this “conducting thing” had still been a relatively recent development. However, in the context of this new position with this venerable organization, it took the kindness, grace and outside perspective of an old friend to open my parents’ eyes to what had been plainly evident to everyone else around them: the dark blue corduroy suit had seen its last concert. Of course, it was icing on the cake that this old friend of my parents not only opened my parents’ eyes but also, in an act of complete altruism and love, pledged to make the new set of tails a reality…and thus it came to be that Captain Stubing bought me my first set of tails!